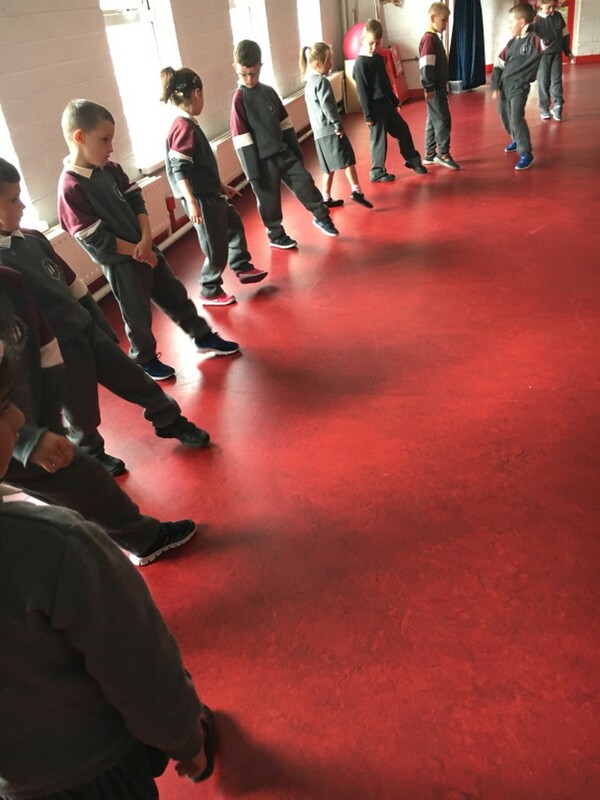 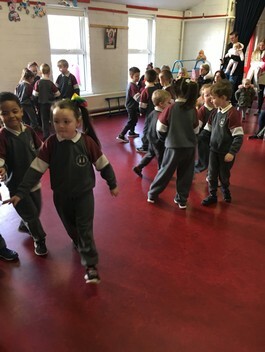 To promote our Irish culture the children take part in Ceilí dancing lessons every Wednesday. 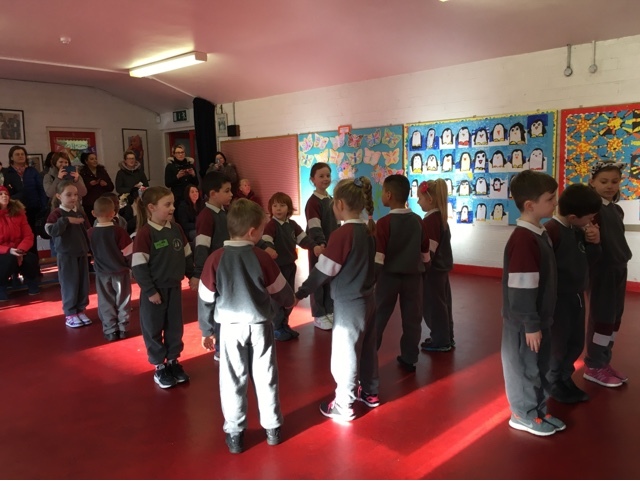 Our Irish dance teacher, Trisha, teaches the infants their 1, 2, 3s and simple Irish dancing steps. 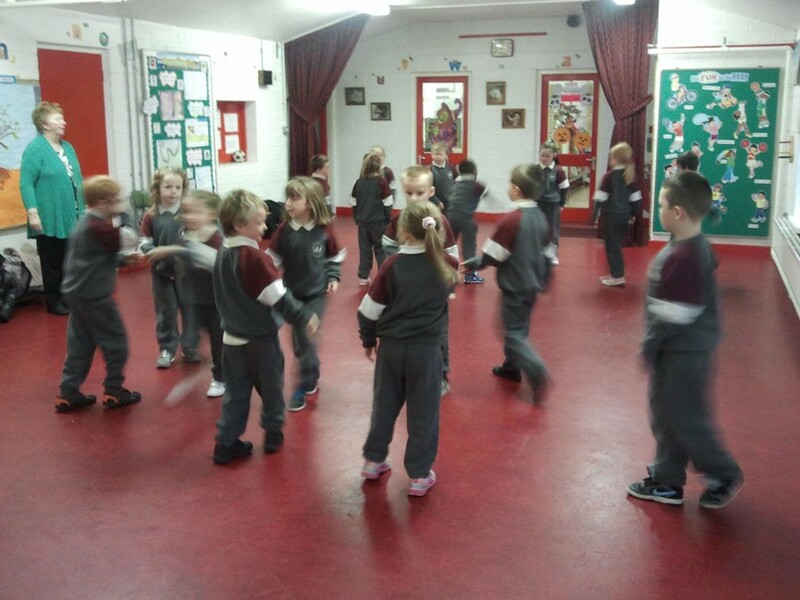 When they progress to 1st and 2nd classes, they are learning whole dance jigs and reels. 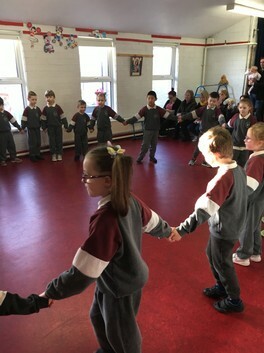 At the end of the year we put on a Ceilí Dancing show for all the parents to show them our Irish dancing skills.